Impersonal Life -  An epic journey of new discovery so fantastic that our natural instinct would be to block it out. A Manual of Spiritual Teaching and Discipline. 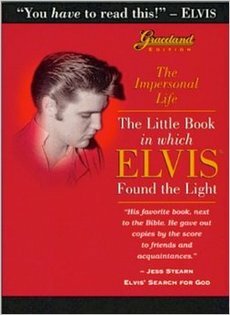 THE IMPERSONAL LIFE is the book that Elvis "had been looking for all his life." Why? Because as ALL Elvis biographers tell us, it spoke to him in such a clear understanding voice. It was so dear to Elvis that he began sharing it with the world by giving copies away by the case. It was ground zero for his self-explorationa and spiritual awareness. Here, Elvis found food for his soul, and he devoured it. Reed the Original Book in PDF. According to author Jon Klimo, "by 1916, Benner said he felt he could no longer resist the growing inclination to give himself over as a vehicle to a larger presence, to let his mind be subsumed by (or co-creatively interact with) a larger Mind or Being." 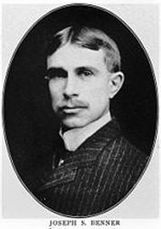 His book The Impersonal Life contained words Benner believed were recorded directly from God, and was first published in July 1914. Benner taught that Christ's proclaiming "I AM" indicated "the true spirit that resides in every human being." The "SUN center" was an Ohio group formed in 1920 around Benner's teachings. One of the group's practices was to "enter into the silence, stillness and peace" each day at noon. Brenner also made a series of lessons called the "The Inner Life Courses" he intended to develop discipline in life, discernment and the awakening of the Christ within the soul. Benner died in 1941. According to his daughter, letters were found after his death in which he expressed devotion to God and his belief that God had chosen him as a medium. In the 1960s Elvis Presley was introduced to Benner's work by his hairdresser-turned-guru, Larry Geller. In the last 13 years of his life, Presley gave away hundreds of copies of the book. A copy was allegedly with him on the night he died. A Note from New Thought Library -- We have not been able to fully process this book for you yet, but because we have had so many requests for it, it has been added for your convenience in this inferior but usable form. We will upgrade it ASAP. We cannot alter external things, nor shape other people to our liking, nor mould the world to our wishes but we can alter internal things,-our desires, passions, thoughts, -we can shape our liking to other people, and we can mould the inner world of our own mind in accordance with wisdom, and so reconcile it to the outer world if men and things. The turmoil of the world we cannot avoid, but the disturbances of mind we can overcome. The duties and difficulties of life claim our attention, but we can rise above all anxiety concerning them. 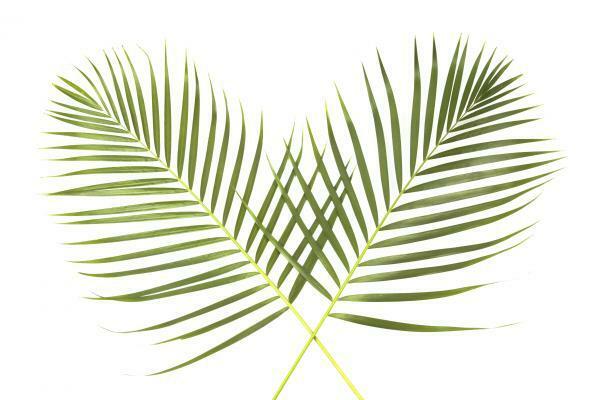 Surrounded by noise, we can yet have a quiet mind; involved in responsibilities, the heart can be at rest; in the midst of strife, we can know the abiding peace. The twenty pieces which comprise this book, unrelated as some of them are in the letter, will be found to be harmonious in the spirit, in that they point the reader towards those heights of self-knowledge and self-conquest which, rising above the turbulance of the world, lift their peaks where the Heavenly Silence reigns.